Any visitor to Tipperary can be in no doubt that the place is so proud of Charles Kickham that he might well have been a son of the town. 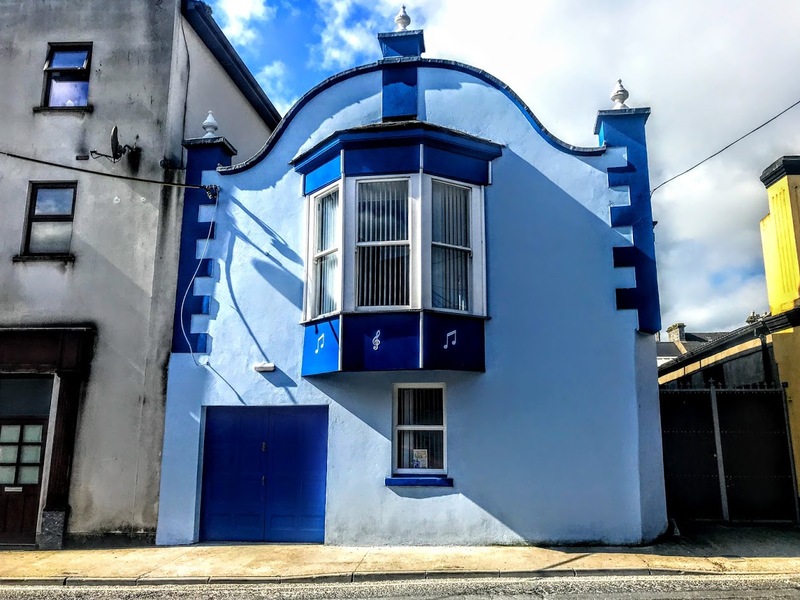 He has given his name to a band hall and a street and there is a large statue of him in the centre of the town that also tells the story of how the climate in Irish politics changed a century ago. 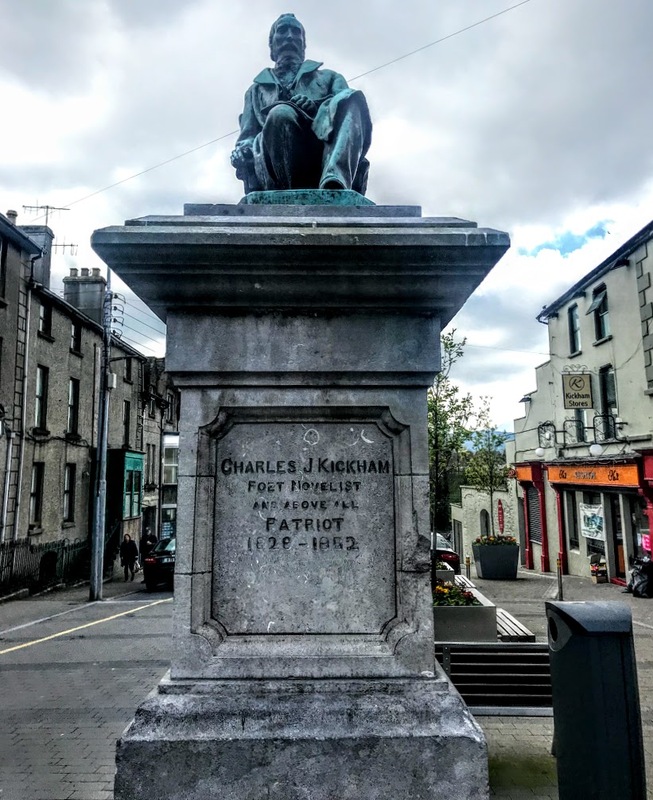 A tourist board in the town describes Charles J Kickham (1828-1882) as a ‘Tipperary icon.’ There is nothing that I could say about this nationalist novelist, poet and journalist that would add in any way to the studies and definitive biography by the Maynooth historian Professor Vincent Comerford. But Kickham was born in Mullinhaone, halfway between Clonmel and Kilkenny, on the slopes of Slievenamon, he died in Blackrock, Co Dublin, and he was buried in his native Mullinahone. Kickham worked closely with John O’Leary, who was born in Tipperary Town, on the Fenian newspaper the Irish People, and like O’Leary spent several years in prison for his political activities before he was released in poor health in 1869. Not far from Galtee More. But his novel Knocknagow or The Homes of Tipperary has been described as ‘the Tipperary novel’ and remains a classic description of life in rural Ireland in the 19th century. Perhaps the most colourful tribute to Kickham in the town is the Kickham Band Hall on Davis Street. This brightly-coloured, detached gable-fronted two-storey hall was built around 1840. It was remodelled in the early 20th century with its Dutch style gable and an eye-catching oriel window. In the past, this building has been a dysentery hospital and a temperance hall, and despite the changes over almost two centuries the building retains much interesting fabric. However, the real tribute to Charles Kickham is the Kickham Monument at the highest point of Kickham Street, facing onto the Main Street. Its prominent position on a plaza in the centre of the town makes it a major landmark in the town. But even this monument has a story to tell that goes beyond the contributions of Kickham to Irish political and literary history. The monument is a life-size, seated bronze figure of Kickham on limestone stepped pedestal, and captures the ageing Kickham holding his paper and quill. The statue was commissioned by the Kickham Memorial Committee and was unveiled by Kickham’s fellow Fenian John O’Leary on 27 November 1898. The sculptor was John Hughes (1865-1941), the bronze was completed in the Gruet foundry in Paris, and the pedestal of Tullamore limestone is the work of Carroll on Birr. John Hughes was born in Dublin and taught modelling in the Dublin Metropolitan School of Art in 1894-1902. Then, in 1902, he received the commission for the national monument to Queen Victoria for the front lawn of Leinster House in Dublin. To carry out this commission with greater ease, Hughes went to live in Paris in 1903, where he remained for the rest of his life. His statue of Queen Victoria was unveiled in Dublin on 15 February 1908. Meanwhile, Hughes was also commissioned by the Gladstone Memorial Trustees to design a monument to William Ewart Gladstone (1809-1898) for Dublin. The Liberal statesman had been Prime Minister for 12 years, introduced the legislation that brought about the disestablishment of the Church of Ireland, promised Irish Home Rule and legislated to improve the legal rights of Irish tenant farmers. The memorial was to be erected in People’s Garden in the Phoenix Park in Dublin. It was a full-length statue of Gladstone with figures on the plinth representing Erin, Classical Learning, Finance and Eloquence. The pedestal in Portland stone was the work of Kirkpatrick Brothers of Trafford Park, Manchester. But World War I caused unexpected delays for Hughes and his work in Paris, and his monument was not completed until after World War I. By then, however, the political climate in Ireland had changed and Dublin Corporation repudiated the work in 1924. Instead, the statue was eventually erected at Hawarden, Gladstone’s Welsh estate in Flintshire in 1925. Meanwhile, Hughes’s statue of Queen Victoria was removed from the lawn in front of Leinster House in July 1948. At first it was stored in the grounds of the Royal Hospital in Kilmainham. The statue was moved to Sydney, Australia, in 1986, the attendant figures were moved to Dublin Castle and the Royal Hospital and the plinth was moved to Bully’s Acre or to the Royal Hospital. Hughes’s Gladstone and Queen Victoria no longer smile down on Dublin, but his statue of Kickham remains the pride of Tipperary, where sits at the top of Kickham Street, appearing to sit watching as daily life in the town passes by.